A whimsical pair of vintage style Alice in Wonderland inspired earrings. 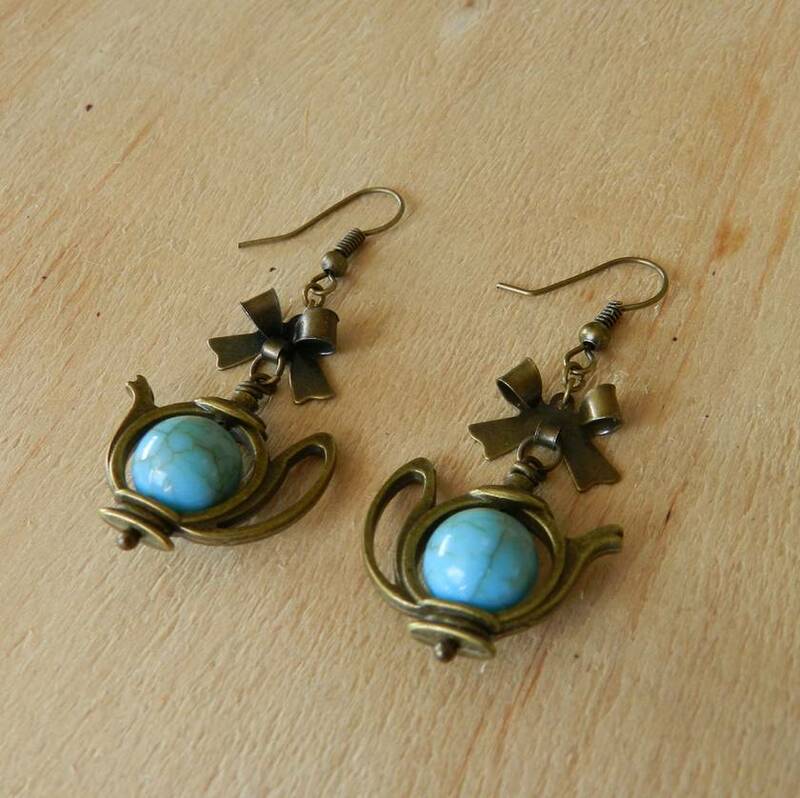 Features a bronze bow and a cute teapot charm with a gorgeous blue bead. The sturdy earring hooks are made from brass, therefore unlikely to cause an allergic reaction. Check out my other listings for more unique jewellery. Contact vanessax to enquire about payment or shipping options.